I’m hoping years from now I’ll look back and think, why was I ever scared to launch this? But it’s only natural and let’s face it, one’s level of fear or nervousness in having the public first witness anything by the creative individual – from a new painting to a new collection to a new whisky – can often dictate how high the level of risk you’re taking truly is. But now that Brenne is off the ground, I feel lighter. And perhaps you’ve heard me say this before but I think it’s worth saying again: I wake up grateful every. single. day. YOU have embraced what I’m doing, supporting me along the way and continue to spread the word and share Brenne. I truly can’t thank you all enough. Then I started to think about all of the pieces that had to come together for that one single moment to happen. While knowing that they are able to present their clients to a very new experience and set themselves apart from the competition across the street, when you really think about it, both McCabes and the W Hotel had to take a leap of faith with me and my whisky. They had to have the foresight to see it’s success and hash out a plan for how they were going to be able to move the product. These guys are part of the first 50 accounts in the world to stock Brenne and knew off the bat, as good as they believe it to be, that most people walking into their establishments won’t know what Brenne is. Every bottle and every dram is a hand-sell by themselves and their associates. THIS fact combined with the sheer number of different alcoholic beverages that are available today is why getting placements are so hard. It’s why each time a new account stocks Brenne, I take a moment to reflect on my journey and let the good feelings sink in. And this thought is also why, upon reading that email, I really truly jumped up and danced. Someone who I never met walked into a store specifically to buy Brenne. So cool. Thanks to social media, I am continually hearing from strangers who have found Brenne one way or another and continue to enjoy it and seek it out. 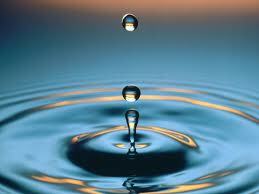 You all are putting the drops in the water and it’s starting to ripple out. I know these are all very tiny baby steps when you look at the giant picture but they are such important moments they can’t be overlooked. Y’all have spoken! I asked, you answered, more in-depth, narrative stories about my journey launching Brenne, please! I’ll certainly sprinkle in posts about other whiskey-related things I experience or am excited about as I bounce along in 2013, but you’re going to also get a little more of an inside look into the good, bad, fun & ugly of launching a whisky brand. As you go about your day, you probably don’t think too much about who, how, where & when the names of items we use regularly started. Apple, Samsung, Starbucks …they’re part of our daily vernacular! But someone (or many people) at one point spent lots of time & probably lots of money to do just that: name a brand. I haven’t written too much about my husband, Nital, but he is easily one of the most intelligent men I have ever met. And when not brainstorming business strategies with me, he’s off using his smarts to re-brands some of the top companies around the world. Many times, this includes putting together a strategy to create a name for a brand. After watching him go through this process a hundred times before, I knew what would be involved in developing the name of our whisky… and with all of his expertise, it still took us 6 months! We didn’t start by just throwing words down on paper (though there was definitely a LOT of that later on!) but instead started with him asking me a ton of questions like, is this going to be a made-up name or a word that already exists? If it exists, in what language? Does it sing or is it short? What feelings does it evoke? And so on and so forth. I wanted something that looked & sounded French but wasn’t overwhelmingly complicated to a non-French speaking person so that it wasn’t intimidating (there was an amazing study that came out by Olive Garden about having a gnocchi dish on their menu. It was not selling well at all but before pulling it, they decided to try listing it instead as “potato dumplings” rather than “gnocchi” incredibly enough, with that name switch, it quickly rose to become one of their top sellers. What’s in a name you ask? Everything. I felt that the name had to have a connection to the wonderful product that had such a rich story – I wanted the name to be a part of that, to feel a part of the product’s history. So with that (and a whole lot more) we set about creating list after list of possible names. We wrote them EVERYWHERE ALL OF THE TIME. Cocktail napkins, word docs, our kitchen chalk board wall … we had scribbled names everywhere for months. No surface was safe! While sadly, I can’t remember the exact way I first connected with my distiller, I CAN remember EVERY DETAIL of the moment “Brenne” happened. I was in Los Angeles at the time and my husband was in New York City. He had waited all morning for me to wake up as LA is 3 hours behind NYC. At 8am LA time he called me and said, “Did you see my email? !” Being that checking my email while simultaneously saying hi to my husband are the first things of most mornings, I was already adjusting my eyes to the screen. At the same time I opened his email, he said it out loud. “Brreeenne” he cooed. Brenne …. 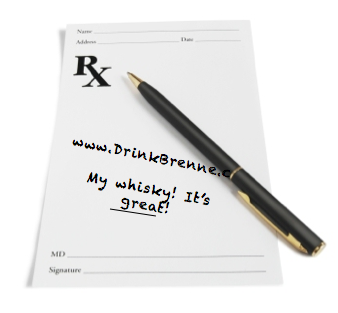 brrreenne … like ‘men’ or ‘hen’ … Brrrreeennnne … I rolled it around in my mouth like sampling a beautiful dram, Brenne. It was perfect! It condensed all of the feelings, emotions, sounds & meanings we had been beating to death into one, tiny, single-syllable word. And he did it by finally finding the right combination of the right French word whose meaning is applicable to whisky mixed with a twist on our distiller’s family name. Done! Next step – is it available? This is the part that always puts butterflies in my stomach. After all of this work, to hear a word and know in your gut it’s right it would be so painful to learn that you can’t get it. And in today’s fast-moving world, it’s not enough to just be available with Trademarks, but you also need your web addresses, twitter handle, Facebook, etc.! The frantic, pre-coffee search commenced. Trademarks? From what we could tell, check! (though this is not a fast process – it took months to finally learn that it was approved but initial results looked to be in our favor). Web addresses? Check. Twitter? Check. I tried to calm myself down, “don’t get too excited, Allison, this is step one in a long, lengthy and expensive Trademark and design processes!” But I knew it had to be mine – it was so right I felt like it’s been called Brenne all along! You already know the happy ending to this story – we got the name. And after setting up my google alerts, I learned that a few more things in far-away lands also use that name 🙂 but nothing damaging, comparable, or problematic in any way, shape or form. Poll: more personal or traditional posts for 2013? If you follow my blog with any type of regularity, you’ll know my life completely changed on October 1st when I launched my own whisky company (Brenne). In that, the vast array of whisky things I was previously experiencing became quickly & narrowly focused onto my own brand. I am an equal opportunist whisky geek so my love for other brands has not changed – but rather morning to, well, morning, I’m now wearing all of the hats that come with being a one-woman-whisky-show, or in layman terms, an entrepreneur. While the variety of whisky events I’m attending has diminished, the number of whiskey-related activities, stories, and insights into this industry has increased insurmountably. My most recent posts (here and here) were much more personal than a typical post for me. Sharing instead my thoughts, feelings and anecdotal moments as I continue along this journey. While I don’t want this blog to become strictly about Brenne – I do find myself in a unique position where I now straddle 2 different whisky worlds: a blogger & a producer. I’m thinking I would post more frequently if I shared more stories and glimpses into my nutty life but haven’t before because I don’t want to bore or annoy you (another Brenne story!? oy) 😉 But if my stories can entertain, then that’s what it’s all about, right?! So I thought I’d throw this back to you – would you like to read more posts that are more personal accounts of this journey I’m taking with Brenne? Or keep it less narrative like years past? Thanks! And may the dram be with you. ABS. Always. Be. Selling. You’re probably more familiar with “ABC” (Always Be Closing) which works great in both the business & dating scenes but I like to believe the original version to be “ABP” as in “Always Be Pimping.” And if any of you have had the pleasure of spending even a second of time with Compass Box Whisky’s phenomenal US Ambassador, Robin Robinson (@CompassBoxRobin on twitter) you may have heard him utter this phrase once or twice. For sales people like us, it’s hysterical, and true. Always Be Pimping Your Brand. And for someone like me who oozes with excitement at the smallest opportunity to share my passion (Brenne, duh!) with anyone, “always” has a truly literal meaning. The other day I had a very minor procedure which required me to be temporarily put to sleep. If anyone has had anesthesia before, you may agree that it’s a bit of a mind game. One minute you hear the anesthesiologist saying, “Ok, you’re going to start to feel the effects of the medicine….” to then waking up (minutes? hours?) later in a room you’ve probably never seen before with people dashing by your bed and most certainly the unpleasant sound of someone moaning in the background. But while you try to confirm that you still have all of your fingers & toes before you’re knocked out again in another wave of medicinally induced sleep (that stuff takes a while to wear off!) you have these movie-like snap-shot moments that you start recalling after the medicine has fully run its course. Yup. In my drugged out, 1/2 conscious state, I was selling my whisky to any nurse who came near me! Ridiculous. And people think alcohol is addictive? Try sales. I’m hooked! Yup. Survived captures exactly what I’m feeling right now. I actually woke up this morning with a little extra spring in my step (though I do feel inclined to mention that my NYE partying is still taking its toll on my head & I’m sure my liver thus my “springing step” is more of a sloth-like meandering around my office which compared to yesterday, is a massive improvement). I am just so excited that we made it through in one piece! 2012 was a big one for me. My husband and I bought, renovated & moved into our new apartment and I launched my whisky, Brenne, with what I can only describe as incredible success (thanks LARGELY to the continued sharing, tasting, buying & chatting about by you all) despite having Hurricane Sandy shut us down for arguably the 2 most important selling weeks in the year. Whisky inventory management is a whole different ball game than any other commodity I’ve ever managed. The lead-time is years. To know how much whisky to create in the first place is a major guessing game (how does anyone really know how well their spirit will sell almost 10 years from the day the process is started?). Then once you have a spirit that has aged as long as you think creates the balanced profile you are looking for – it’s entirely your call as to when to pull the barrels, how many to bottle, and – in my case – how much to put on a boat and wait patiently for it to travel 1/2 way around the world (all the while you’re barely sleeping as the nightmares of a tsunami or freak storm or anything damaging all of those years of hard work and money keep you up in nervous sweats — and yes, whisky is now looked at as ‘years’ verses simply a ‘product’). To say I really had no idea how much whisky I could/would sell between October 1st and December 31st is a gross understatement. I spent about 2 years market testing Brenne in New York, Los Angeles and San Francisco while asking nearly every bar tender I had ever met how many bottles of any particular brand of whisky they sell through per month (usually the answer was this: “vodka and gin I go through multiple bottles a night, whisky you say? About 1 bottle per brand per month. Why don’t you want to make vodka instead? You’ll make more money”) Yikes. This wasn’t a “get rich quick” business for me – I’ve been building this out of my love for whisky, my passion for the influence & effect terroir plays on the aging product, and the impact that true craftsmanship can have on such an amazing spirit! Still, I had the number I was looking for (1 bottle per brand per month … that’s 1 case a year per account -or 2 cases if you do 6 bottle cases like I do). That seemed really low and a little upsetting – after hearing that from a lot of people I do remember running the numbers and thinking, “I can never do this!!! How does anyone make any kind of living off of whisky? Should I just fold this up now? No one will ever know! We can sell this in bulk to someone else and let it be someone else’s headache. We’re too small a company to compete!” But my husband kept encouraging me to move forward and something deep inside of me agreed. Knowing that a new brand (and one from a “new” country) would need to be hand-sold by bartenders & shop keepers, I had to figure that my product would take even longer to move through on the shelves. Which meant I really needed to buckle down, create a very focused plan for launching Brenne, and go back to our college days of living off of the cheapest food I could find. We are in this for the long haul! After much analyzing of whatever data I could get my hands on – my husband and I agreed to bring in a small amount of Brenne to start. Mind you, we were only selling this in New York and even then, only focusing on a few areas within the Manhattan area so I really had my work cut out for me to launch this with any type of success. There were a lot of days leading up to our launch that I thought, “I could pull the cord on this now, I don’t HAVE to move forward, no one is forcing me and again … no one will ever know! – I kept Brenne quiet for years, there was no need to change that! ” Which I knew was all fear talking so again, I kept moving forward. Then one day you turn the corner and realize that with one more step, you’re jumping off the cliff and there is no turning back. The future is most certainly unclear but once this step is made – it’s seriously GO time. I happily & nervously danced my way right over the edge. Major decision making became as regular a part of my day as my morning coffee. And with never having done this before in this industry, I’ll be the first to admit there was a lot of “follow your gut” guess work. There still is! You do the best with what you have and then, you just keep moving forward. If I didn’t launch October 1st, I knew I would have had to hold it until January 1 (this week!) as it’s impossible to launch anything new during November and December. So I did it – pounding the pavement, knocking on doors, hand selling this to every single account who would take an appointment with me. I didn’t launch this with a distributor – I decided to distribute it myself – and I was SHOCKED with just how well Brenne has been received. That number of “12 bottles of whisky per brand a year per account” was grossly underestimated. I have one bar going through about 12 bottles a WEEK! I have stores on multi-case bi-monthly ordering schedules and the initial quantity which I assumed would supply many unique account was satisfied by only a relatively small handful. Brenne was definitely exceeding the “12 bottles per year per account*” estimate and I woke up each day with more excitement, confidence, humility and gratitude then I have ever felt. So after what can only be described as a marathon of tasting events this holiday season, I woke up today alive and happy. And started to arrange for my next few pallets of product to be loaded up from our distillery in Cognac and brought over to the US. There is still a TON of hard work ahead and many, many long days but if these first 3 months with Brenne are any indication of our future, then I can not WAIT to keep moving forward and see where were are this time next year. And just to leave you with a little something – I did ring in the New Year with my husband and dear friends at the very cool new NYC whiskey bar, The Flatiron Room, which I will blog about next time! I hope you all have a safe, healthy, and wonderful start to 2013! HAPPY NEW YEAR! *Just clarifying for those who really like to get down to the nitty-gritty, the “12 bottles per account per year” was based off of no published statistics but rather gathered by myself by simply speaking with bar tenders around the USA. Also, the type of account I’m referring to with these numbers are only for on-premise (meaning a bar, restaurant or lounge). You are currently viewing the archives for January, 2013 at The Whisky Woman.